The Canadian Pacific Railway arrived in this area of Manitoba in 1888-1889 and, in 1891, a post office named Elm River was established at 18-11-4W. 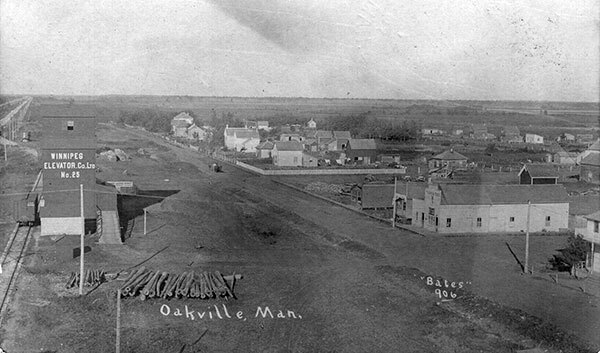 The following year, its name was changed to Oakville, then to Kawende (an Ojibwe word meaning “no name”) in 1900. The change was apparently motivated by concerns of postal officials for potential confusion with the like-named community in Ontario, although Oakville continued in common use. The official name reverted to Oakville in 1939. Go here for a list of historic sites in Oakville.